Well, actually, I watched two short films but it took me about four days to view the collective forty minutes. It doesn’t really explain my six month absence from blogging however.. Things have been hectic, as life goes, and training has gotten manic recently (trying to keep up with training partners 20 years younger isn’t a great plan). I’m teaching more wrestling at the gym and on top of looking after my son and getting work done, the blog ended up being left by the wayside. However, in amongst it all I saw some talk about Neill Blomkamp’s latest project. More to the point, his latest decision to start a film company to explore lots of different ideas and projects; an incubator of sorts for film directors and editors. Searching for Oats Studios will reveal all. It’s a fantastic idea, in my opinion, especially with the current reboot mania the major studios seem taken with. I’ve also started watching The Punisher, which is proving to be very enjoyable; Luke Cage, a show that has some great moments and some slightly stilted ones; and I finished watching the season seven of The Walking Dead. More on all of that later. Honestly, this post is just a marker for me; a way to push me back into blogging and recording the books I read and the films I watch. So, whilst I’ve been bouncing around like Sam Beckett, desperately trying to make the leap home, I’m back and will, hopefully, be blogging once again more regularly. Having spent all weekend climbing up and down a 20ft ladder, fixing render and painting the house, not much reading or blogging was achieved. 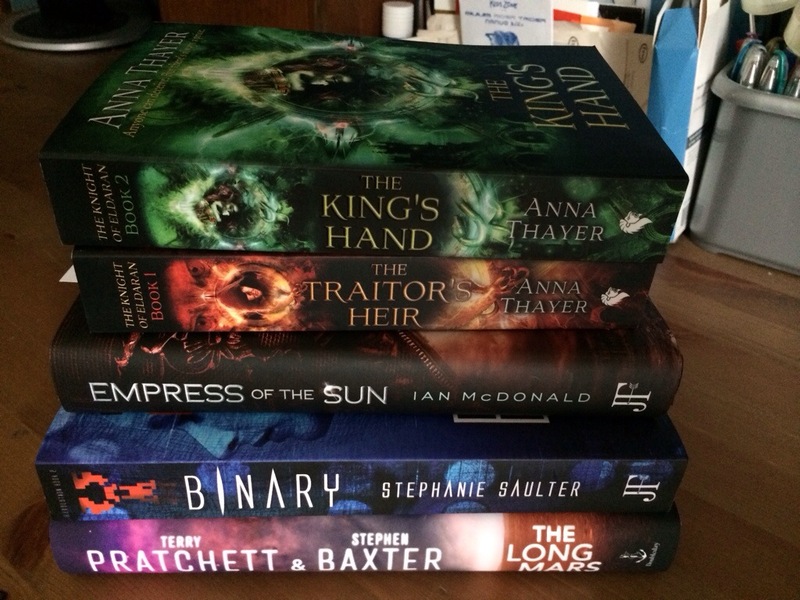 However, lucky me did get sent a number of great looking books to ease those aching legs and slightly frayed nerves (my son is teething, poor boy and poor wife). I’ve not had the chance to read Terry Pratchett and Stephen Baxter’s previous collaborations – The Long Earth and The Long War but they sound great. More books to add to the list! I have, however, read Stephanie Saulter’s first offering in her Revolution series and I’m really looking forward to Binary. Check out the blurb below. 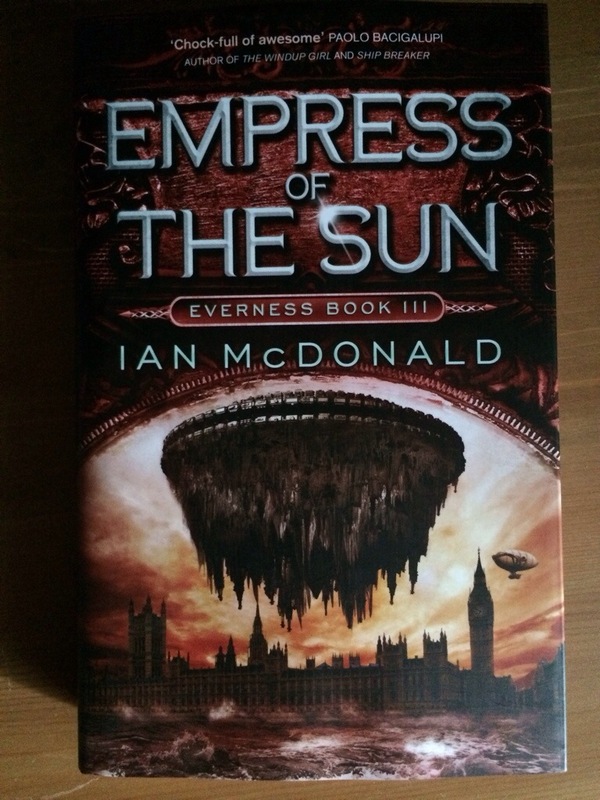 Another book that I’m eager to read is Ian McDonald’s Empress of the Sun. 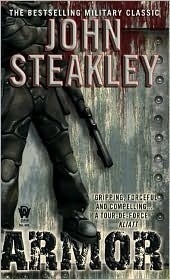 The third book in his Planesrunner series, I’d want to read it for the cover artwork alone. 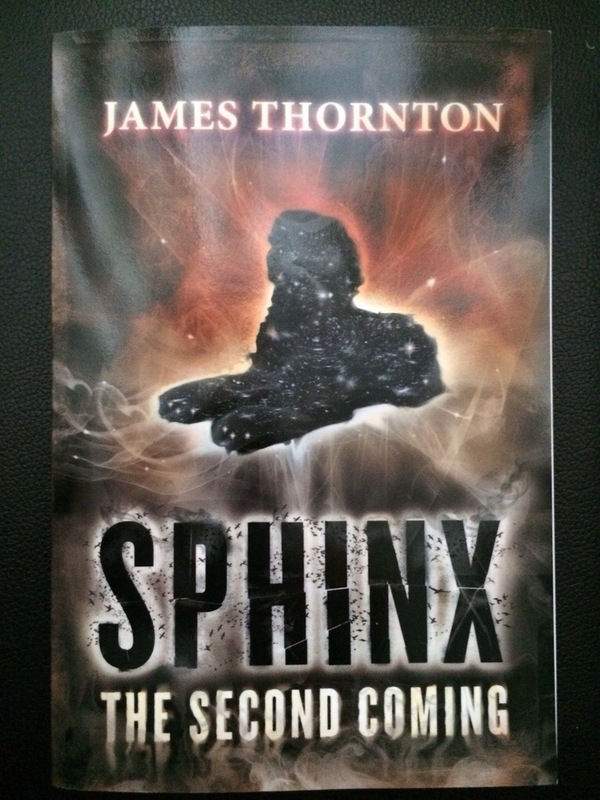 I’m still reading Sphinx by James Thornton and it’s definitely setting an interesting premise. Review should be up soon (as there is no way I’m going back up the ladder this week). What are you reading? I’m lucky enough to get sent a book now and then, and last week I received two interesting parcels in the post. Sphinx: The Second Coming by James Thornton comes with a big tag line, citing the author as ‘one of ten people who could change the world’. This is directed more at Thornton’s work as an environmental lawyer, but it speaks volumes about the man behind the book. 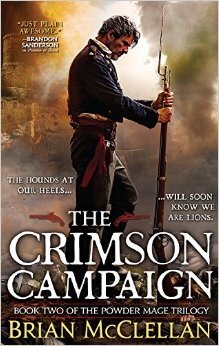 I’m going to try to get a review up of this next week as the premise sounds intriguing. The Sphinx presides over the desert while methane bubbles beneath the ocean’s beds. Catastrophe is coming. A team of westerners is set to unlock a code found deep in the fabric of the Great Pyramid. The puzzle goes beyond time – for secrets of Ancient Egypt are alive beneath modern Cairo. The puzzle stretches into the universe, where distant galaxies stay alert for the future of planet Earth. It’s enough to shake the Ancient Gods to action. 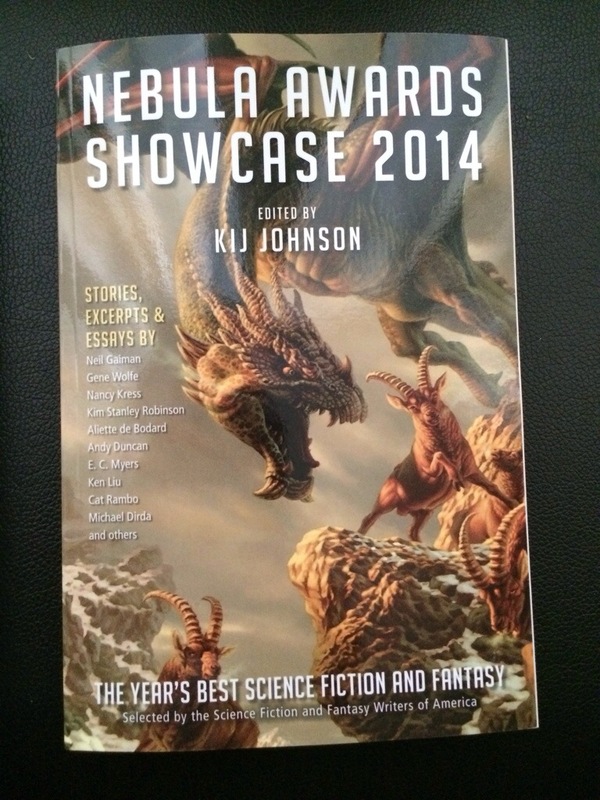 The second book I was sent is the Nebula Awards Showcase 2014 and is stacked with some big names in the sci-fi and fantasy genres. With the likes of Gene Wolfe, Kim Stanley Robinson and Neil Gaimen all featured, I’ll definitely be trying to find time to dip in to this book over the next week. The Nebula Awards Showcase volumes have been published annually since 1966, reprinting the winning and nominated stories in the Nebula Awards, voted on by the members of the Science Fiction & Fantasy Writers of America® . The editor selected by SFWA’s anthology committee (chaired by Mike Resnick) is American fantasy writer Kij Johnson, author of three novels and associate director of the Center for the Study of Science Fiction at the University of Kansas. This year’s Nebula winners, and expected contributors, are Kim Stanley Robinson, Nancy Kress, Andy Duncan, and Aliette de Bodard, with E.C. Myers winning the Andre Norton Award for Young Adult Science Fiction and Fantasy Book.